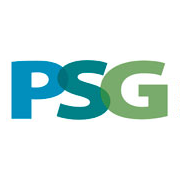 Professional Services Group, Inc. is adding a part-time medical extender position in their outpatient clinics in Kenosha and Racine. The medical extender will assist PSG nurse practitioners and physicians by preparing clients for their medication management appointments with the providers. The medical extender will be responsible for greeting the client, taking appropriate vital signs and gathering brief information about any recent medical or medication changes for the client. The extender's role also includes a general understanding of how to operate PSG's telehealth system and how to initiate appointments through the telehealth system with the assigned provider. The extender may also assist with client scheduling and aspects of laboratory collections such as urinalysis. This position will begin at 10 hours week, expanding to 25 - 30 hours per week. Experience in the medical field is preferred, but not required. The position requires a minimum of a high school diploma or equivalent and an Associate's degree in a related field is preferred. Background check and drug test required. Must possess valid driver's license and have proof of auto insurance.